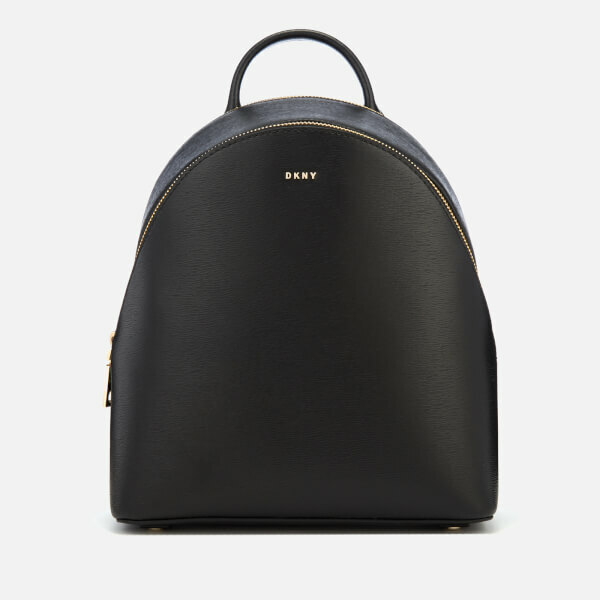 Black DKNY backpack made from genuine leather with a textured finish. 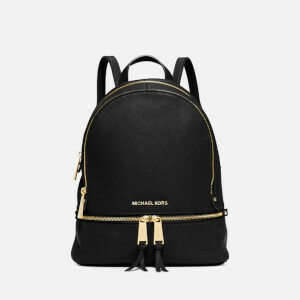 The 'Bryant Sutton' medium backpack is a practical bag equipped with multiple compartments for safe storage. 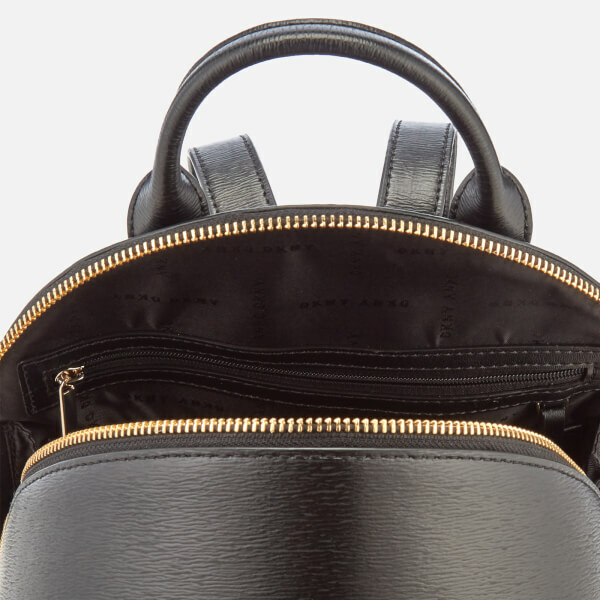 The front compartment with zip-around fastening opens to reveal a lined interior with single slip pocket, and the rear zipped compartment features slip and zip pockets plus a key fob for safe storage of daily essentials. 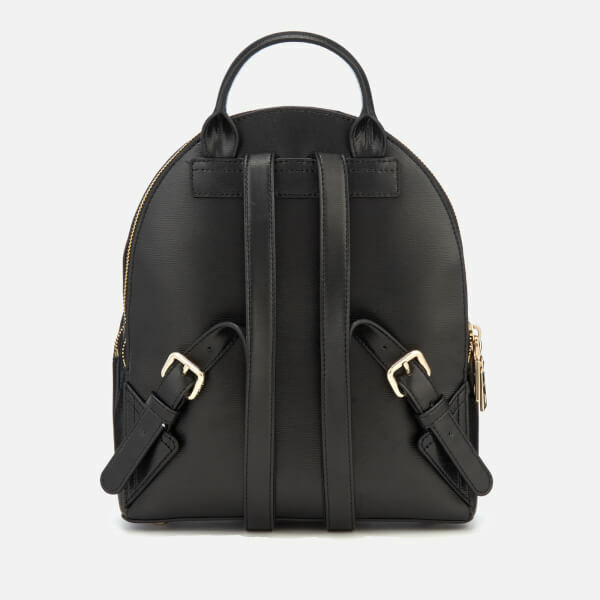 The leather rucksack is finished with a tonal top handle and two adjustable shoulder straps. Protective metal feet and embossed DKNY logo to base. Gold tone branding and hardware. Arrives with a branded dust bag.